Robert Louis Stevenson’s works are usually dark and ominous such as “Dr. Jekyll and Mr. Hyde”, “Thrawn Janet”, “The Suicide Club”, and “The Body Snatcher.” The setting of “Dr. Jekyll and Mr. Hyde”, is very believable because it is a real place. The setting of London in the nineteenth century reminds me of other books like “Sherlock Holmes: a Study in Scarlet”. The nineteenth century is usually an excellent period for mystery and horror. Dr. Jekyll and Mr. Hyde were more relatable because they had good traits and bad traits. The plot of the book is very twisted and surprising. The end is sad and very tragic, if I were to compare it to a famous tragedy it would be “William Shakespeare’s Hamlet” or “Sophocles’s Antigone”. I loved this book from start to finish. Although it’s quite sad at the end I really suggest people who are into the “good old classics” and are up for a challenge for vocabulary; however I do not recommend it for the fainthearted, young, and people with simple vocabulary. It may seem confusing at times because there are logs and letters from the characters to other characters for a chapter or two. 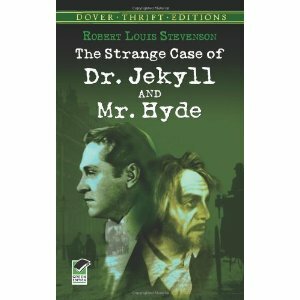 Yet all in all, the tragic story of “The Strange Case of Dr. Jekyll, and Mr. Hyde” is truly inspirational and amazing.